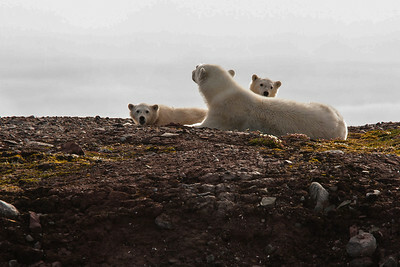 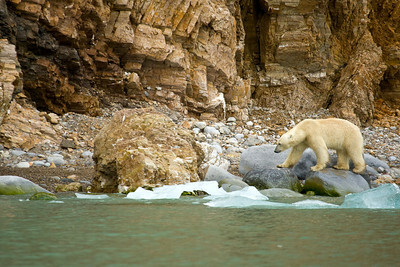 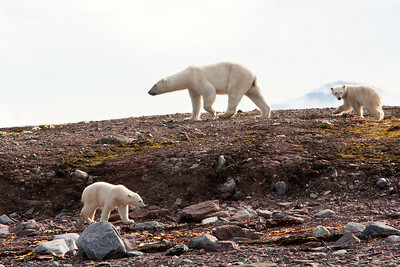 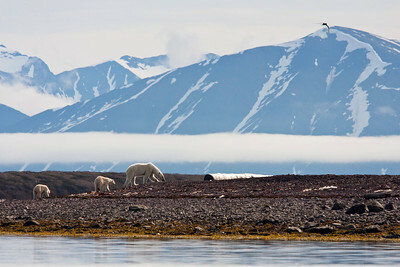 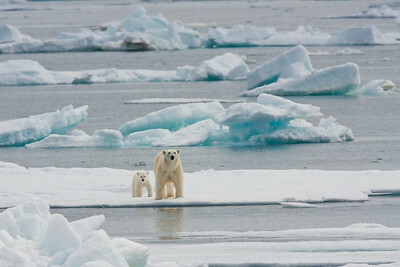 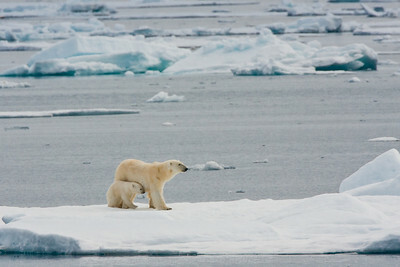 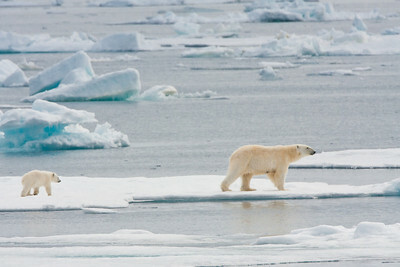 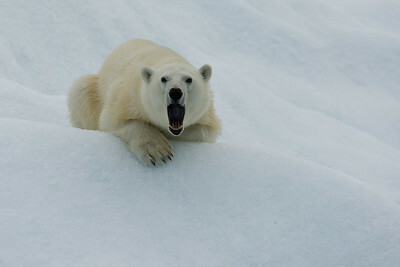 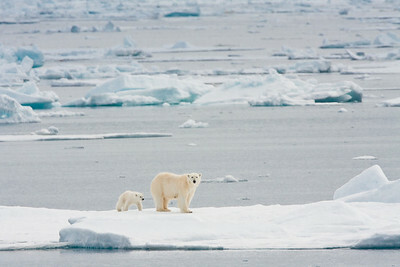 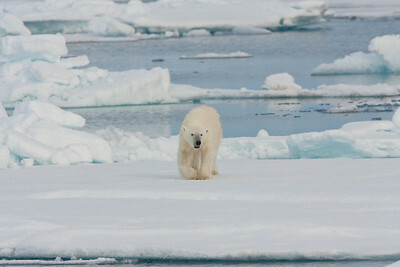 These are our favorite polar bear images from our Svalbard expedition. 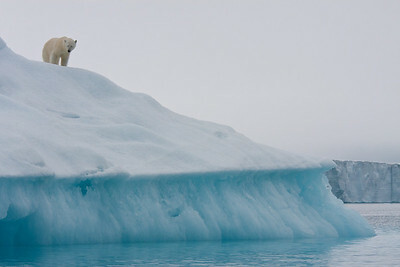 The closeup images of a lone bear on the ice were made from the Vavilov around midnight in beautiful Arctic 24 hour sunlight! 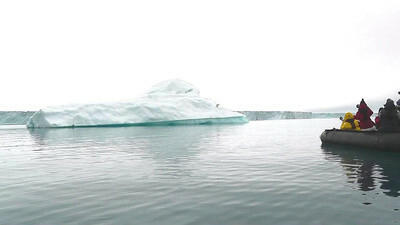 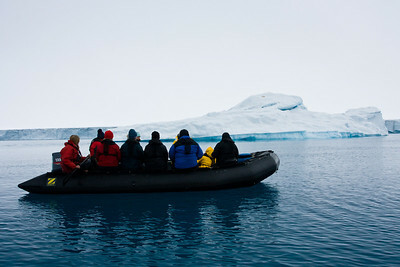 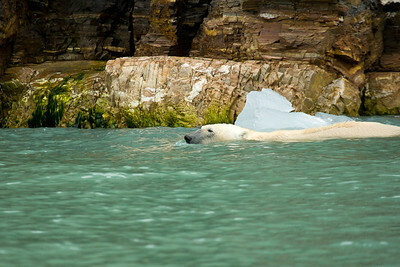 On one of our Zodiac cruises, we spotted a lone polar bear resting on a nearby iceberg. 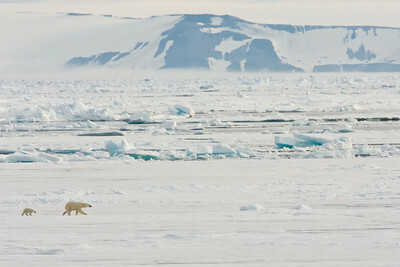 We are quietly approaching the iceberg where a polar bear has decided to take a nap (that's the speck near the top!). 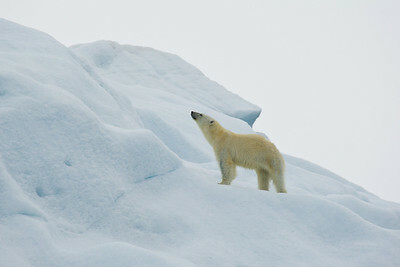 As we approached the iceberg, the sleeping polar bear awoke and came down to check us out. 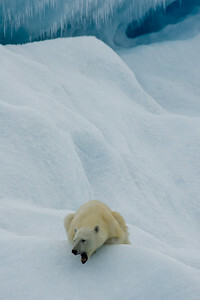 We probably looked like Gore-tex clad seals to him - a nice meal for the hungry bear! 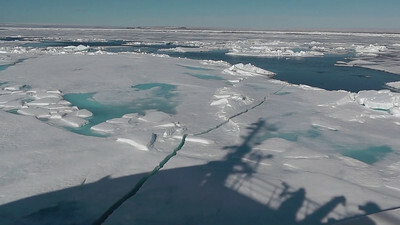 The Vavilov moves slowly through heavy pack ice in the Hinlopen Strait in search of polar bears. 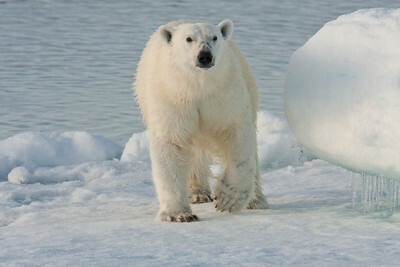 This and the next several images are of our "midnight bear", so named because he was spotted on an ice floe close to the ship around midnight. 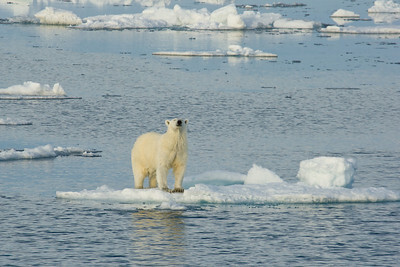 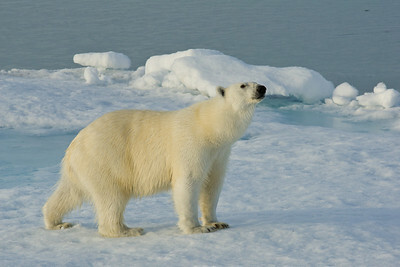 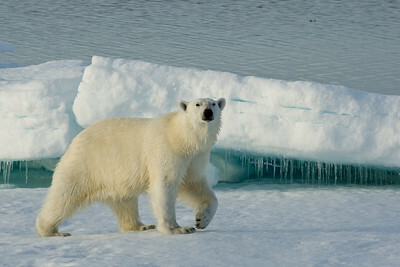 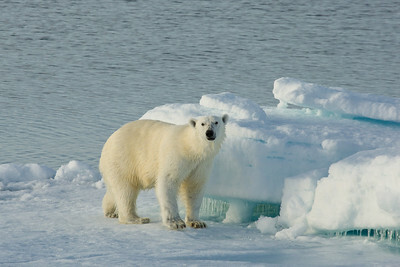 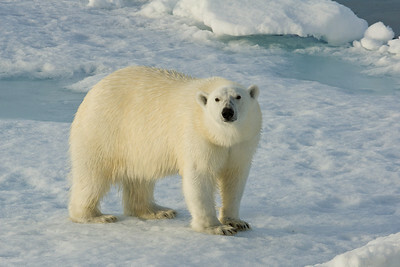 Sleep was postponed while we shot many images as the bear came right up to the ship which had stopped in the ice.